So apparently, there is this thing on TV at the moment called 'The World Cup.' I, clearly, am none the wiser to any of this, but when Benefit invited me down to their very own pub, 'Gabbi's Head' set up for the duration of The World Cup, I decided to get involved. 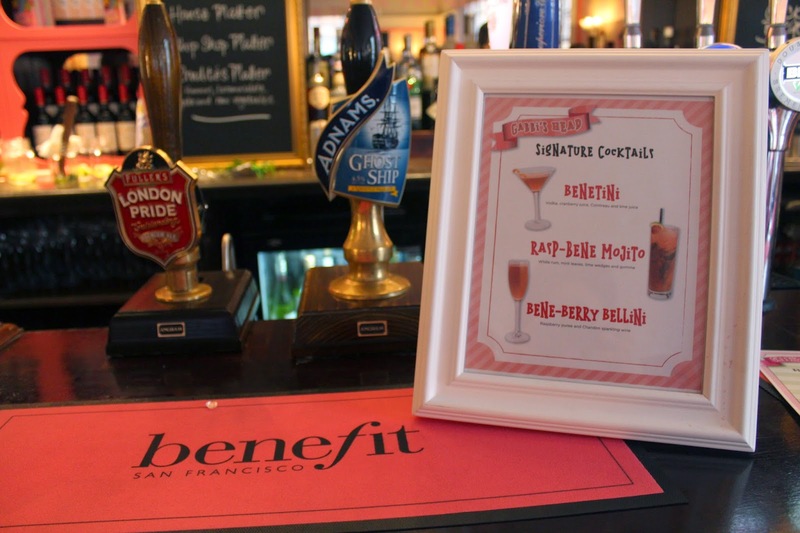 Benefit have taken over the top floor of a pub in Covent Garden (Drury Lane), painted it pink, kitted it our with a brow bar and beauty goodies- all in the name of The World Cup and bringing beauty to London's ladies, over a glass of vino. 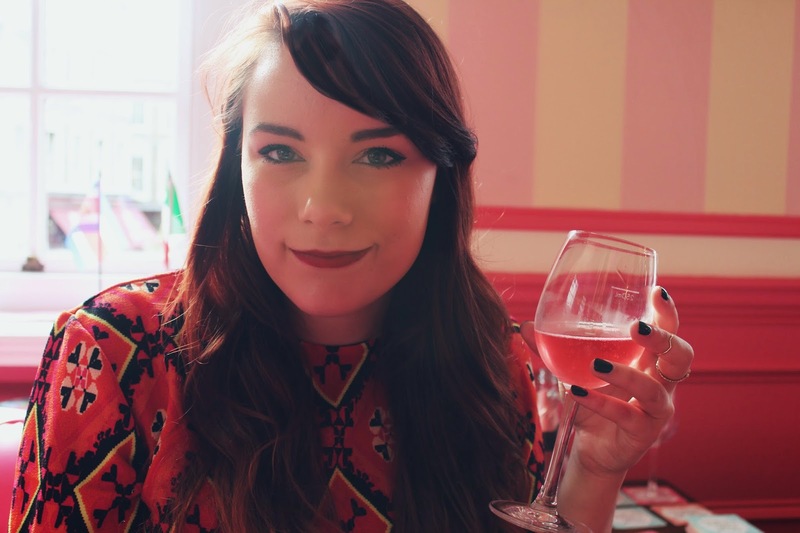 Benefit and Echo Falls teamed up to host a 'Beauty Bloggers VS Fashion Bloggers' Table Foosball Tournament, complete with wine and football cake pops to boot. Whilst I was chilling out in the Benepub, I decided to have my brows waxed and shaped at the Bene Brow Bar, a mere few metres away from the bar- handy! Benefit are doing brow waxes, tints and shaping throughout the duration of The World Cup at Gabbi's Head and all they ask is that you donate £5 to charity which you can do through text or cash donation! Above is the finished result and I'm so pleased with my new brows. The brow game is strong. FO SHO. Initially I was conflicted- was I a beauty blogger or a fashion blogger?! I decided to team up with the gorgeous Lily of Lily Ann Loves on the beauty blogger team, and we pretty much wiped the floor of the competition. 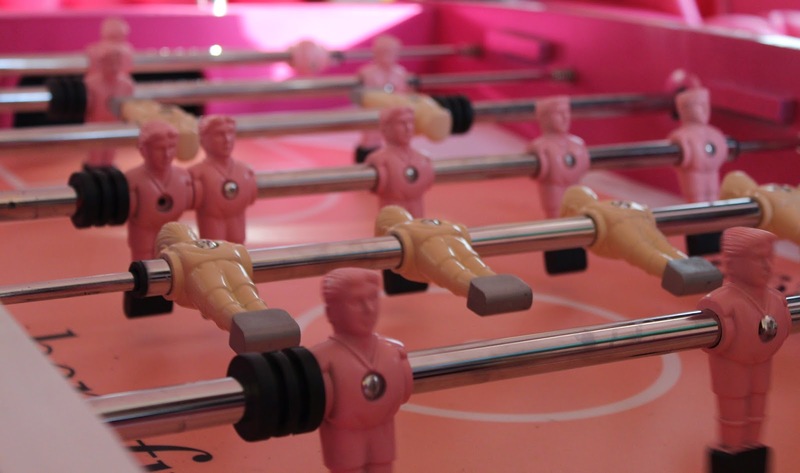 My competitive side came out (spurred on by all the wine, I'm sure) and I had great fun playing with the pink customised Benefit Foosball Table. Above you can see Lily and I in action and then our celebratory photo, immediately after winning- we are grinning like Cheshire cats! 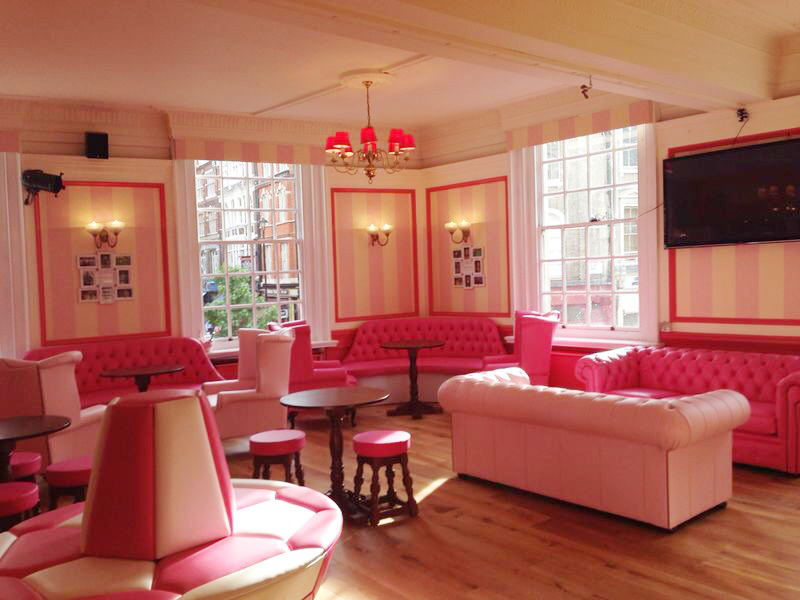 I had a fabulous day at Benefit's Gabbi's Head pub and I'd like to thank Benefit and Echo Falls for looking after me. 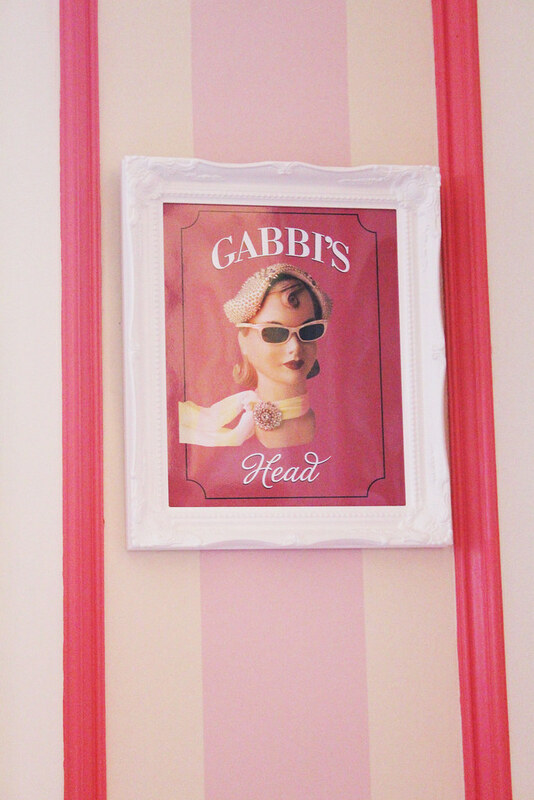 If you'd like to visit Gabbi's Head, Benefit have set up shop until 13th July 2014, open everyday midday until late. 150-151 Dury Lane, 1st Floor, Covent Garden, London, WC2B 5TD (Above the Prince of Wales). Don't forget to visit my depop here, and to follow me on bloglovin' here.